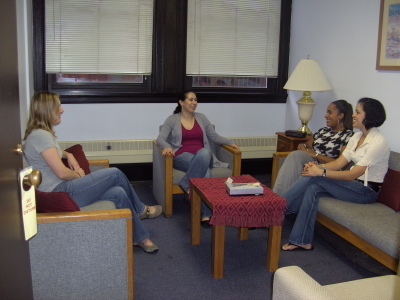 The CWRU Psychology clinic functions as a training facility for graduate students in the Department of Psychology. Because therapists in training need to receive thorough supervision, it is necessary for sessions to be audio and/or videotaped. These tapes are used only for approved Clinic training and they will be destroyed after use in supervision. In addition, the therapist in training may be observed by Clinic staff (for example, the faculty supervisor or other graduate students) from an adjoining observation room using a one-way mirror that is located in one of the therapy rooms. You will always be notified ahead of time if the session will be observed, and you have the right to refuse being observed. Consent for taping sessions is required of all clients who receive Clinic services. You will complete this consent form at your intake appointment.